According to Mahatma Gandhi, “The simplest act of kindness is by far more powerful than a thousand heads bowing in prayer”. That is why aside from trying to succeed in the 9-day Misa De Gallo challenge, let me encourage everyone to allot even a small portion of their Christmas blessings to charity. I suppose you need not be told that even for a small amount, your donation will indeed go far and would help a lot of people. I am not the best Catholic this Christmas Season so let me make up for my sins by helping others. 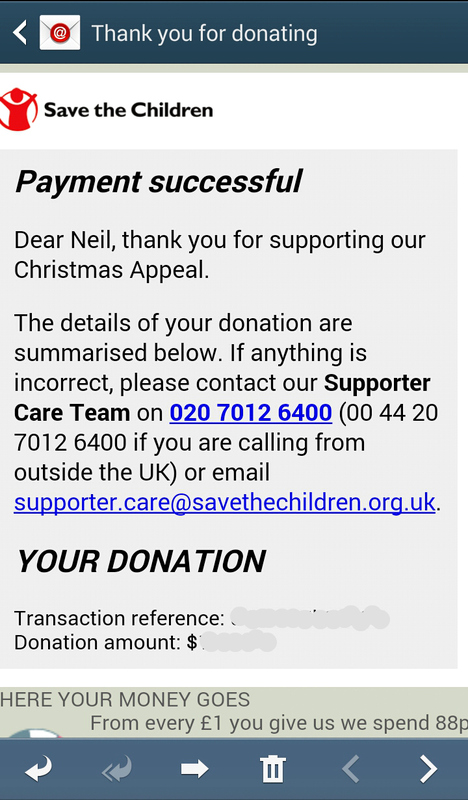 This Christmas, my chosen aid organization is Save the Children UK. I know there is Save the Children Philippines but I chose the UK-based branch because I was so touched and was so moved by their YouTube advert for this Christmas season. Entitled Real Giving This Christmas, the advert features Gerald a young boy from an impoverished town of my very own country. What is very moving about Gerald’s story is his ability to give so much despite having so little. His enthusing narrative along with a touching musical score of the video can indeed inspire and encourage people to share their blessings in whichever form it may be. Puro ka kabig! Huy! Mag doneyt ka naman.